What are Mitt's chances of winning the nomination? On Thursday, Mitt Romney is officially announcing his run for the White House. TNR senior editors and bloggers Jonathan Chait and Jonathan Cohn have both written extensively about Romney’s looming presidential bid: Chait has been pessimistic, keeping a “Romney Death Watch’’ on his blog, while Cohn thinks Mitt is in pretty good political shape. Today, we’ve asked Chait and Cohn if we can take a peek at a head-to-head e-mail conversation they’re having about Romney’s chances. Keep checking back all day—we’ll keep updating as Jon and Jon keep arguing (last updated at 12:30 p.m., on June 2). Today, Mitt Romney makes it official. He’s running for president. I think he’s got a good shot at winning the Republican presidential nomination. You do not. But before we get to that disagreement—such a rare thing for us—I have to make a confession: I have a soft spot for Romney. Maybe that’s not surprising. Romney signed health care reform in Massachusetts and, in so doing, created a template for what became the Affordable Care Act. And he was no bit player in that drama. Did you read the lengthy articles by The Boston Globe’s Brian Mooney and our old friend Ryan Lizza, at The New Yorker? They made it clear that Romney was closely involved in crafting the law and that, yes, he supported the dreaded individual mandate. Those articles captured what I liked about Romney, or, at least, the Romney who served as governor. He’s a problem-solver, and, when he’s serious, he can be pretty good at it. He’s a conservative, obviously, so he’s not the kind of candidate I’d vote to elect. But a Romney administration wouldn’t be plagued by the sheer incompetence we saw, say, in the Bush administration. And, down deep, I suspect his instincts are pretty moderate: More like Bush the father than Bush the son. I’ve often thought (and have written) Romney gets that trait from his own father, George Romney, who was a genuinely moderate Republican and who governed well in your home state (my adopted home state) of Michigan. No, we haven’t seen that version of Mitt for a while. These days, he spends most of his time trying to run away from health care reform and other heresies in his recent political past. George Romney relished fights with the party’s extremist wing, picking fights with the John Birchers and famously challenging Barry Goldwater for the 1964 Republican nomination. Almost 50 years later, Mitt is pandering to the modern party’s extremists at every opportunity. You’ll notice he’s announcing his candidacy in New Hampshire this time. When he ran in 2008, he announced in Michigan. In every possible way, he’s running away from his father’s legacy. It doesn’t speak well of his character. Of course, I suspect you agree with most if not all of that. I also suspect you think it’s irrelevant, because you don’t think he’s going to be the nominee. So let’s get back to our disagreement. Why don’t you think he’s got a shot? What’s more, this isn’t merely a crucial issue where he’s on the wrong side. Romney’s plan was the basis for the Affordable Care Act. As the economist who advised both Romney and Obama said, “He is in many ways the intellectual father of national health reform.’’ This isn’t like Iraq war supporter Hillary Clinton vying for the Democratic nomination. It’s more like Iraq war architect Paul Wolfowitz vying for the Democratic nomination. Even if the party elites had all coalesced around Romney, he’d be deeply vulnerable to an insurgent challenger. But they haven’t coalesced around him. They have either kept their distance or openly denounced him as an apostate. Those in the latter category include such elected officials as Paul Ryan, Jim DeMint, Rick Perry, and Haley Barbour, and such pundits as Rush Limbaugh, the Wall Street Journal editorial page, National Review, Jennifer Rubin, Stephen Spruiell, Michael Tanner, Kevin Hassett, Matt Continetti, David Boaz, Daniel Foster, and John Podhoretz. (I know I’m omitting many.) Romney has been voted off the island. Now, many rank-and-file Republicans don’t realize he’s been voted off the island. In this sense, Romney resembles Joe Lieberman, who rode the momentum of his 2000 vice presidential run to lead the Democratic polls through 2002 and 2003. But Lieberman was never going to win his party’s nomination in 2004—he was simply too out of step with its mood. Lieberman was more confrontational about his apostasy than Romney. On the other hand, he also began with more goodwill and was trying to lead a less ideologically homogeneous party. Romney’s early polling lead is like the altitude of an airplane that’s run out of fuel. So, without resorting to chaos theory, can you explain to me how he makes it through a competitive primary? What is it about presidential primaries that bring out our differences? In 2004, we argued about Howard Dean. In 2008, we argued about Hillary Clinton. In both cases, you argued I was underestimating the candidate’s political liabilities and, at least in the former case, I think history proved you right (although, substantively speaking, history has proven Dean was right about the Bush tax cuts and the Iraq War). Still, I think I’ve got this one right: Romney’s prospects, while far from certain, are stronger than those of his rivals. It’s not that I disagree with your list of Romney’s problems. As you say, he’s on the wrong side of what has been, for the last two years, the defining cause of the conservative movement: Health care reform. He lacks unified support of the elites. And you could have kept going. Today, in The Examiner, Philip Klein reminds us that signing health care reform wasn’t the only time Romney veered from conservative norms. As governor, he raised state fees and closed tax loopholes, which more than qualifies as “increasing taxes” according to most conservatives. He signed a statewide ban on assault weapons. It’s more or less what you’d expect of a Republican in liberal Massachusetts. But “Somebody Besides Romney” is not a candidate for the presidency. If Republicans want to nominate somebody else, they must coalesce behind an alternative. And I think the chances of closing ranks behind any of the announced or presumed contenders are a lot smaller than you do. Can an extremist candidate like Michele Bachmann win Iowa and contend seriously? Sure. But I also think there’s a hard ceiling on her support. She’s simply too crazy. Even the Republican Party has enough sane voters, and responsible leaders, to close ranks around an alternative if she or somebody like her gets a real shot at the nomination. A moderate like Jon Huntsman? His past seems to include more heresies than Romney’s. And he’s not disavowing that past. The most plausible alternative would seem to be Tim Pawlenty, the former Minnesota governor. On that, I think, you and I agree. But he’s untested as a national candidate and his first moves don’t exactly suggest he’s up for the job. As you observed on your blog, in a press appearance he couldn’t keep Iran and Iraq straight—and his statements suggested genuine confusion about the issue, rather than mere misstatements. Candidates can certainly improve with time. (I recall very distinctly then-candidate Barack Obama flubbing the first presidential forum on health care reform.) But there’s a broader lesson here. As I wrote earlier, Romney’s flaws are pretty much priced into his stock right now. He’s been under close scrutiny ever since the last presidential election. Pawlenty, Huntsman, and the other major contenders are still new at this. Nobody has dug through their pasts. Nobody has cross-examined them about positions. Nobody has seen how they deal with the rigors of a presidential race. Most important, nobody has launched negative attacks on them—which, you can safely assume, Romney will. That brings me to another big factor in Romney’s favor: Money. He has a lot of it already and, thanks to his resources and networks, he has the ability to raise more easily. The other candidates will have to devote enormous amounts of time to fundraising just to stay remotely competitive. And that will put them at a significant disadvantage, as our colleague Walter Shapiro pointed out recently. No, the candidate with the most money doesn’t always win. But when the candidate with the most money also has the most name recognition, the most sophisticated operation, the most seasoned advisors, and the most experience as a national candidate—well, that starts to look pretty formidable. Remember, Joe Lieberman, whose candidacy you hold up as a parable, had only the most name recognition. A Republican candidate without Romney’s liabilities would have a virtual lock on the nomination. A candidate with them still has a very good shot. Don’t you think? I agree that somebody has to win the nomination. I don’t agree that Romney’s faults are priced into his stock. I think the “stock” frequently takes a too-static view of candidates, overweighting things that can be measured at the moment, like name recognition and money, and under-weighting things that can’t, like how the process of electoral competition will alter the voters’ perception of them. My belief about Romney is that he faces enormous obstacles surviving competition with fellow candidates. It’s not just that he “lacks unified support of the elites.” It’s that the elites are largely unified against him. He’s got FreedomWorks, a powerful Republican player, making its top priority not to elect anybody in particular but to defeat him. A strong campaign can succeed despite a lack of elite support, but overcoming mass elite opposition is hard—especially when you lack a passionate grassroots base in the first place. Does everybody have weaknesses? Yes, they do. But you don’t need to be perfect to beat Romney. You just need a reasonably competent politician who’s acceptable to the major factions in the party. I think Pawlenty can be that politician. If not—or possibly even if so—somebody else, like Chris Christie, Rick Perry, Paul Ryan, or so on—could jump into the race. One way I disagree with you is in your equivalence between different kinds of flaws. These flaws matter only to the extent that Republican primary voters believe they matter. When a massive portion of the Republican communication apparatus is driving the message that Romney is an ideological heretic, then fellow candidates’ attacks on Romney will resonate. Romney can counterattack, but without the validation of the propaganda apparatus, his counterattacks will have much less force. Consider Pawlenty. You site the episode where he repeatedly discussed the situation in Iraq, only referring to it as “Iran.” I consider this a strike against Pawlenty. But Republican voters don’t care what I think. They care what fair and balanced conservative movement organs tell them. And those fair and balanced organs are ignoring those episodes or preposterously insisting that Pawlenty merely misheard the question. Now, if Pawlenty continues to muff simple ground balls, his supporters may turn on him. But then they’ll simply find some other competent Republican who isn’t the father of national health insurance. Some of the doubters are consultants whom Romney has not hired again or who took roles with rival campaigns. But the more prominent Romney refugees are elected officials and GOP bigwigs who are publicly questioning whether Romney has learned the lessons of his failed bid and whether he will be able to connect with voters. Now, Romney has a competent team. But the abandonment of so many supporters should tell you a lot about his chances. They smell the stench of death. Romney might pull it out, but it would take extraordinary circumstances. Has Romney lost some of his supporters? Definitely. But that same Washington Post story you cite notes that he still has the largest network of any Republican candidate. Also, many of those defectors haven’t actually found another candidate. They’re simply waiting to commit. Maybe another candidate comes along and catches their fancy. Or maybe Romney survives the early contests and they come back to him. Plenty of elite columnists and thinkers have come out against Romney, it’s true. But plenty haven’t, perhaps—in some cases—because they realize Romney might be the nominee and they don’t want to damage him. Timing, by the way, could be a great friend to Romney. His organizational and financial strengths virtually guarantee he will be a top finisher in early contests and, quite likely, one of the final two candidates left running. The rest of the field, meanwhile, remains crowded. And while the voters are sorting out the alternatives, Romney will be piling up the delegates. If and when a consensus anti-Romney emerges, that candidate would likely face a serious delegate deficit. Overtaking Romney wouldn’t be impossible under those circumstances, but I hardly think it would be easy. Yes, elections are fluid. Plenty of low-information voters know nothing about Romney except his name. And they will be turned off when they hear about his role in health care reform. Again, though, they’re also going to find qualities in the other candidates they don’t like. Plenty of those other candidates also said nice things about individual mandates, enough for Romney to blur the distinctions among them. And let’s see how well Pawlenty’s past support of cap-and-trade plays in industrial states like Ohio and Pennsylvania, or oil (and delegate) rich Texas. Particularly if gas prices spike, that could become a much bigger issue than it is right now. 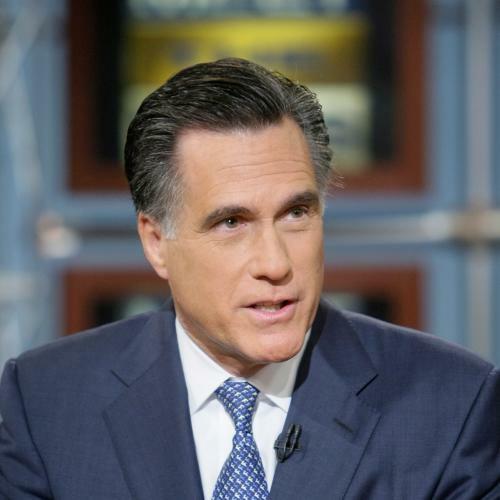 No, the most serious conservatives may never get past Romney's role in health care reform. But not all Republican primary voters are that conservative. Moderates, in particular, may gravitate towards a candidate with a background in business and the ability to tell a good story (however wrong-headed) about the economy. Does all of that sound ambivalent? That’s because I am ambivalent. Again, I’m not at all sure Romney wins the nomination. It’s going to be a tough fight, in spite of his vastly superior money and organization. A key indicator for me is the disposition of Fox News. If Fox becomes openly, rather than latently, hostile and if it throws its lot with an opponent, then Romeny’s case is probably as hopeless as you suggest. P.S. I mentioned, previously, my relatively high regard for Romney’s tenure in Massachusetts. But I want to be clear about something: He’s tried so hard to disown that past I really have no idea whether, as president, he’d revert to that form. Like Paul Krugman says, Romney is simply too smart to believe the things he’s saying right now. That makes him incredibly cynical—and unreliable. Did you see Steve Benen’s great line on this? “Mitt Romney is like a box of chocolates — you never know what you’re going to get.” That sounds about right to me. But I don’t vote in the Republican primaries. Jonathan Chait and Jonathan Cohn are senior editors at The New Republic.